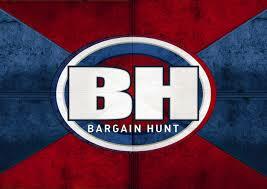 We were pleased to welcome Anita Manning and her Specialist Colleagues - David Harper and Danny Sebastian to the Centre for the latest filming of BBC1's Bargain Hunt. This was aired on the 27th June 2017 on BBC1 and is available for viewing on BBC Iplayer for a period of time. Talbot House was pleased to host, once again the days filming and an enjoyable day was had by the Celebrities and Contestants alike - there is always plenty for the Bargain Hunters to find from our Prestigious Centre being the largest in Dorking with around 60 Dealers to choose from across 4 floors and the added benefit of 7 day a week trading. 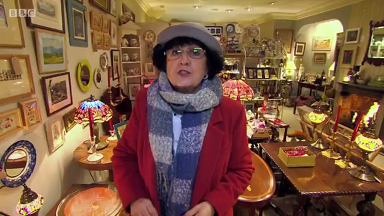 We were pleased to be hosts again for the BBC's Bargain Hunt who filmed again in our Centre with Anita Manning a few months ago - this episode was aired on BBC One on 12th June 2017. Did you see us on TV !... If not, this can be viewed on BBC IPlayer for a period of time.